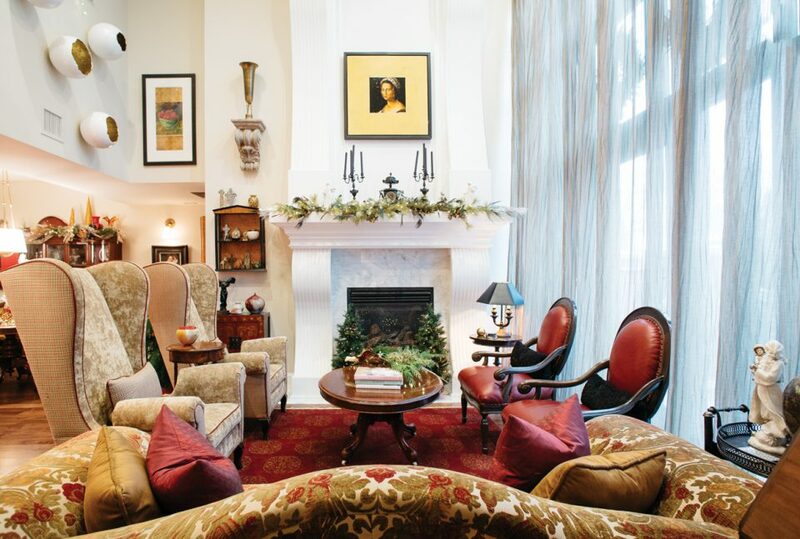 Designer Al Black blends tradition and whimsy when he decorates his home for the holidays. 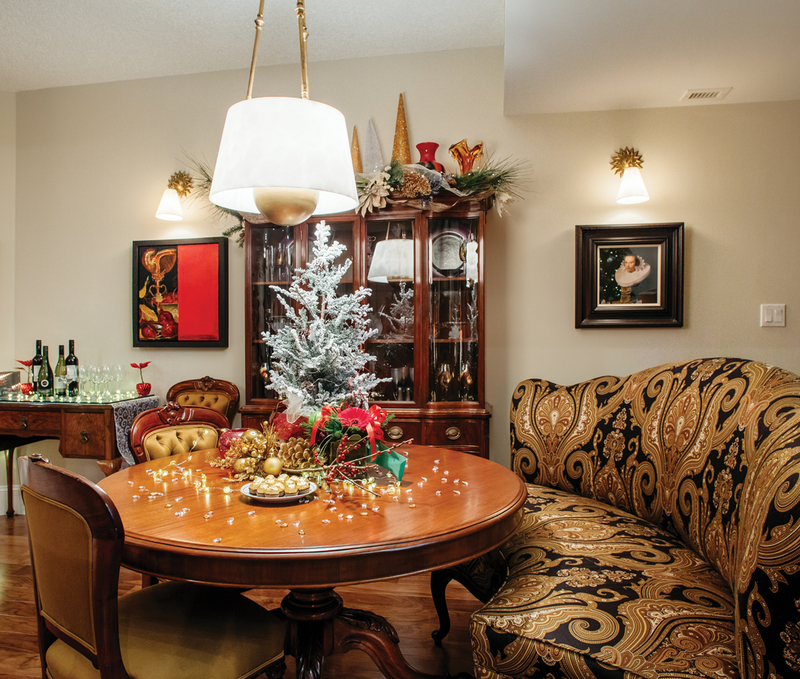 For years, Edmonton designer Al Black got into the Christmas spirit by decorating his historic home in the Highlands both inside and out. Passersby would marvel at the abundance of Christmas lights, potted fir trees and tastefully arranged greens that transformed his home’s exterior during the holidays. Twice, he won a neighbourhood decorating contest. Then, when he decided to give up his house for a low-maintenance condo in downtown Edmonton, he still decorated his space. “It’s really nice to come home to [Christmas decor] at night,” Black says. Regardless of the size of your home, there’s plenty you can do to decorate for the season. “Even if you have 850 square feet, you can find a small tree to put up,” Black says. Even when you don’t have a large front yard, you can add lights to windows, patios and balconies to add festive flourishes to the neighbourhood. Since the move, Black has decked the halls of his 1,500-square-foot, two-storey condo with gusto. The process takes about a week and begins around mid-November, when he sets up his 10-foot artificial tree in his living room and combs through 30 to 40 bins of holiday decorations, including many items acquired during the decade he co-owned Christopher Clayton Furniture and Design (which he sold his share of in 2016), and, in the 1980s, Clayworks Studio. He also makes a trip or two to Greenland Garden Centre in Sherwood Park in search of greens and flowers to create Christmas aromas inside the house, and potted trees wrapped in lights for his patio. In the living room, Black’s Christmas tree is laden with classic ornaments, with plenty of gold hues to catch the light. On tables and other surfaces, he arranges candles, hand-made sprays, garlands and other traditional decor items. On the mantle of the large fireplace, he places long cedar branches and cranberries. Black uses decorative pillows sparingly in the living room (so guests don’t feel awkward moving them in order to sit), but sometimes piles them high on the beds upstairs, where they can safely make a statement. 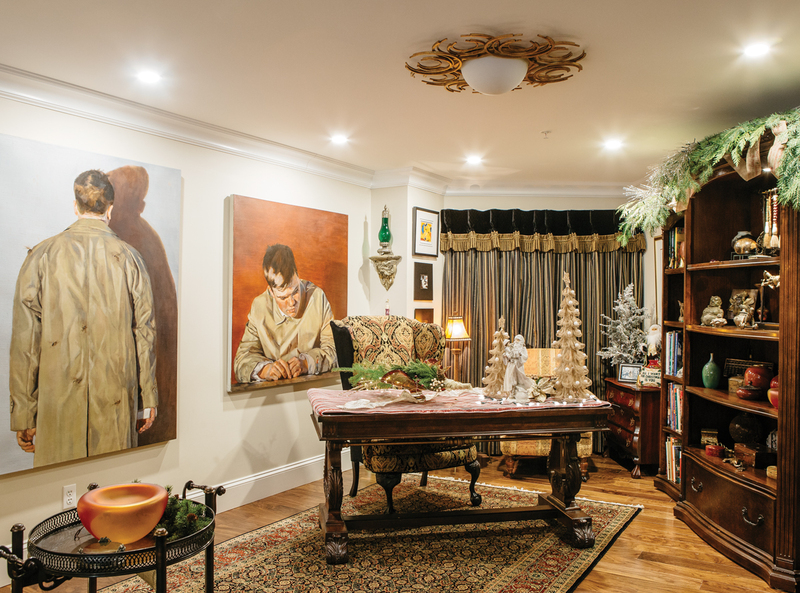 At Black’s annual holiday party, friends and clients are delighted to see that he has decorated every single room – from the open-concept kitchen and living area, to the bathrooms and bedrooms upstairs, to the main-floor patio. As they wander through the condo to marvel at his handiwork, a black rescue cat mills around, with no interest in scaling the tree or attacking the decorations, like other cats. “It may sound strange, but Sparky loves Christmas,” Black laughs.